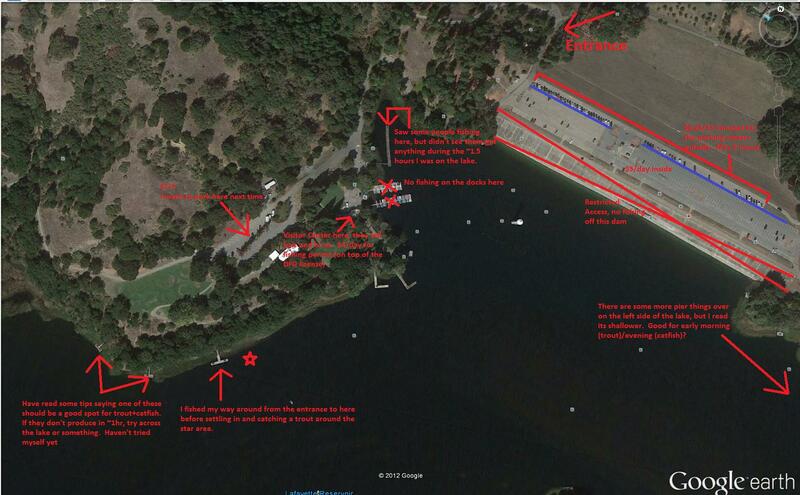 Last Tuesday, 9/9/2014, marked the first time I returned to the site of the [yacht] incident. For a variety of reasons, I hadn’t been back to Capitola since. But here we were. Kara’s brother Andrew had come all the way from Colorado, and by god, we were going to put him on the fish! We got there early, around 7/7:30am. Didn’t see anyone else, but we later ran into 2 other Capitola Boat & Bait boats out on the water. 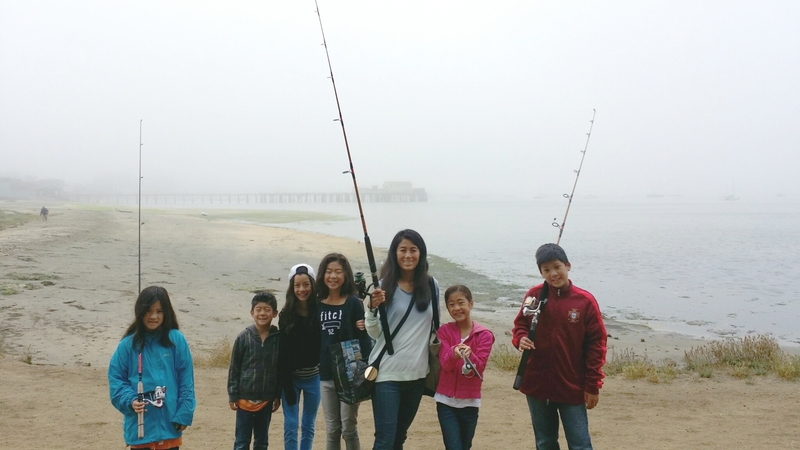 We weren’t the only ones playing hooky from work! We started off by the Tank House reef looking for bait. 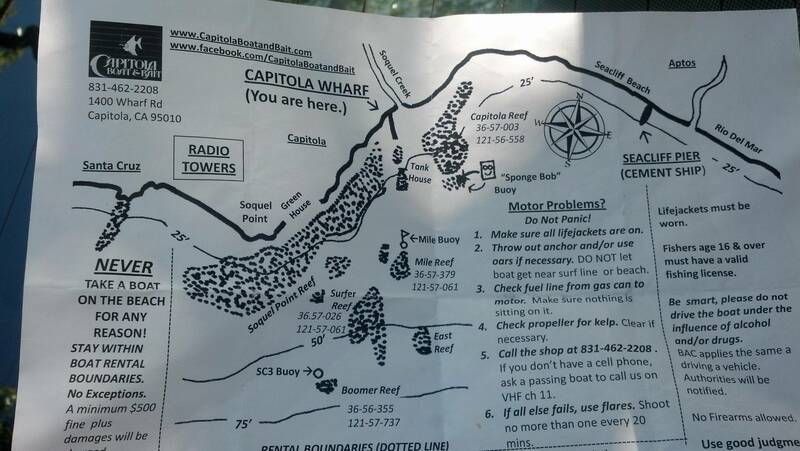 For reference, here’s a picture of the Capitola kelp bed map that Capitola Boat & Bait passes out: http://i.imgur.com/dpEHcZQ.jpg. Kara had that feeling. You know, the one where you just know there’s fish. Like a fool, I questioned it. But we stopped nonetheless, and well…unsurprisingly she was right! Smack dab in the middle of aaallllll the bait fish! Mostly only pin head anchovies jumping out of the water, but fun to see still. 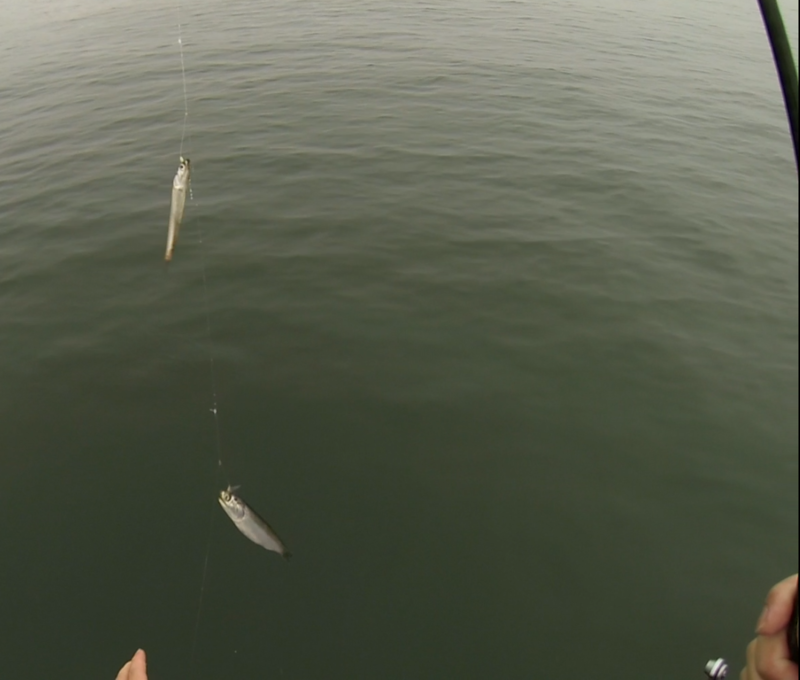 So there we were, jigging away with sabikis (Kara opted to fish a shrimp fly, see if she could land just larger bait). I think we had a size 10, and size 8. We were using 1oz weights. First fish coming up were small anchovies. 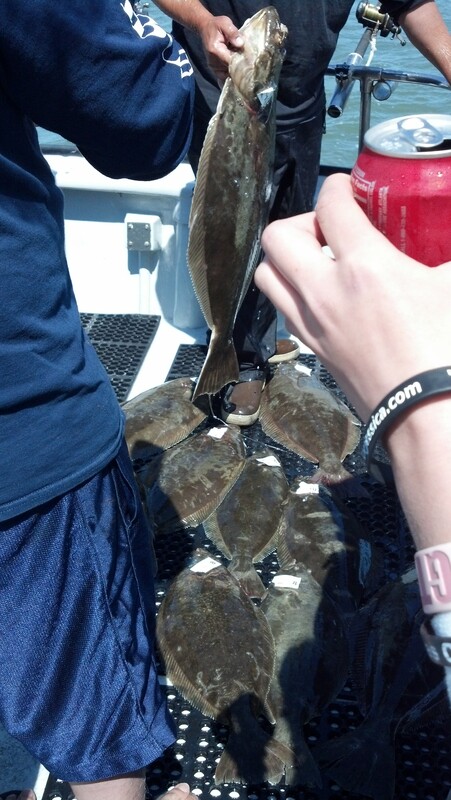 After a few drops we found out there were much larger, perfect bait size ones lurking below those! Success! 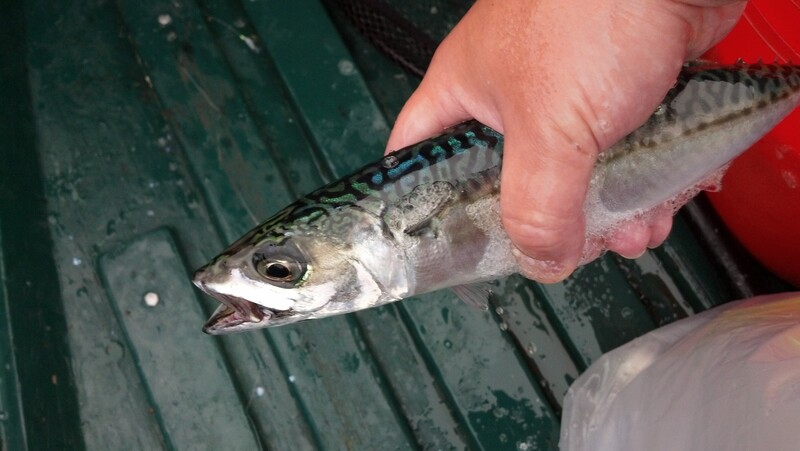 We even pulled up some mackerel! So I guess I do guided tours & trips now. Last Saturday was my first time taking non-friends out on an official tour. I’ve wrestled with the idea in the past, and decided to push it aside for the longest time. Finally went out and did my first official one this past weekend (non-friend group). Jonas contacted me asking if I could take him & his family out poke poling. Gave it some thought, liked that he was bringing his kids out, and decided I’d give it a shot. 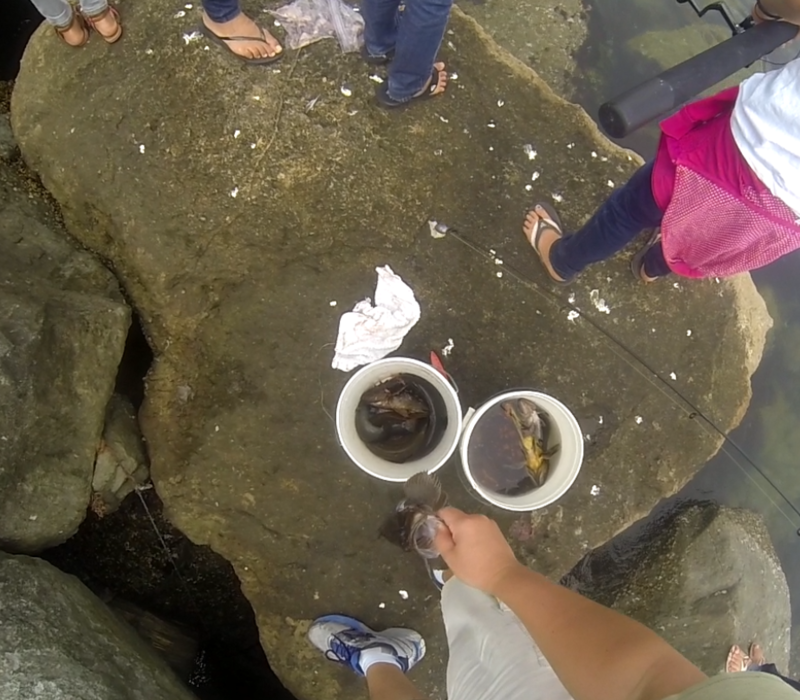 It went pretty smoothly considering there were a total of 7 people, 5 of which were kids. So I guess that passed my test, and I’m open to taking more groups out there, though I need to hash out some details first (group size, gear rental if necessary, etc). For those of you interested, please head over to the jetty tours page where you can find all the details (once I’m done building it out). Do note that what I teach is a variation on the traditional poke poling. I use a normal rod/reel set up (20lb+ mono) which allows me more flexibility. Okay maybe. But I still think its kind of funny. Anyhow! 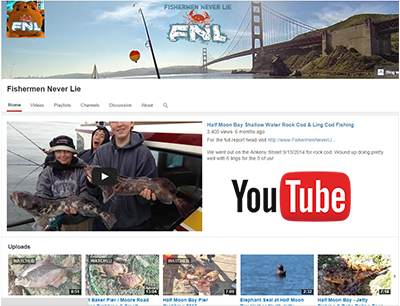 I was on the Tigerfish out of Emeryville this weekend, and we fished the northern San Francisco Bay for halibut & stripers. Had a great time with Capt. Allen, his deckhand Matt, and the rest of the party. I got a lot of video too! You can find it below, or a link to the playlist at the end of this post. Alrighty. Much delayed, sorry, getting caught up in Minecraft. Trying to construct a floating castle, but the stupid portals aren’t working the way they’re supposed to…yadda yadda. Woke up 2 hours late Saturday morning…meant to get up at 5am, woke up after 7 to a text message from kara asking where I was. Gah. Grabbed my gear, loaded up the kayak and ran out the door. Picked up Kara and breakfast, and we were off! Traffic wasn’t bad at all, pretty much speed limit the whole way or more. Not bad considering it was like 930/10am-ish? Was really weird driving into Capitola though. 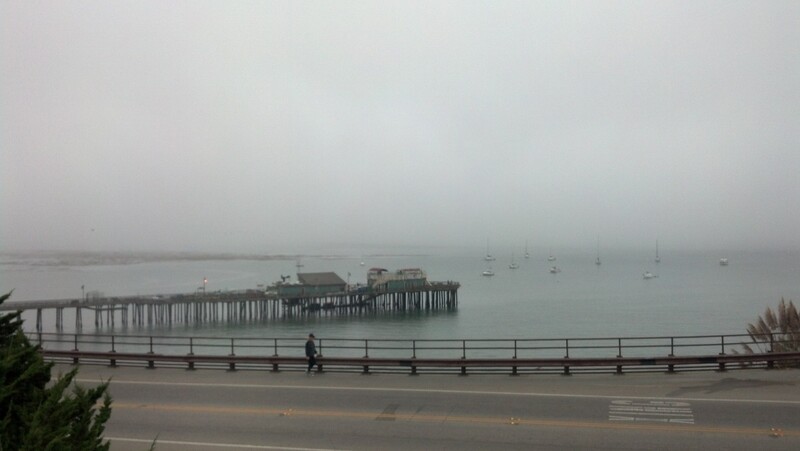 It was sunny right up until Capitola. Then all of a sudden the world got darker, and it was pretty foggy. Stayed that way all day. Kind of odd, considering there was some wind (5-11mph forecast). Anyhow, we got there and unloaded our gear. On my way to the bathroom I passed a young boy who had a nice looking rock cod (black or blue, didn’t get a good look). Was AMAZING for off that pier, 10-12″ easily. Kid was using a ball weight with a maybe 4-6″ leader beyond that. I don’t know the name of the rig, but its got a bit of a cult following. Anyhow he wasn’t tossing it out too far, maybe 30-40′. 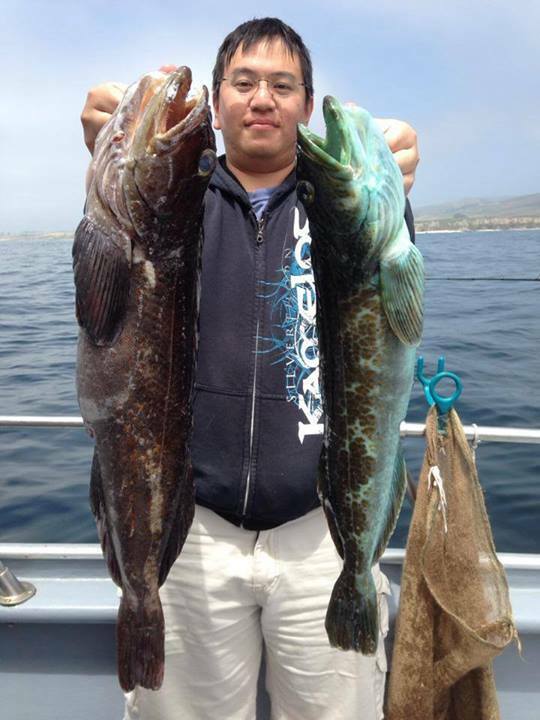 Odd to have some rock cod out in the open there.